How Much Do you Know About CyanogenMod ? CyanogenMod is a custom version of Android Operating System with more Features and Performance than that of which are Provided originally by Google's Stock Android Operating System. How was CyanogenMod Community formed ? CyanogenMod was founded just after the release of very first Android Operating system i.e: Android 1.0 . Steve Kondik the founder of CyanogenMod community found many issues with the initial stock Android OS ,So he started working on his own Tweaked version of Android OS with better features and Performance benchmarks than the Stock Android. How CyanogenMod became Popular ? After the release of 4-5 versions CyanogenMods, Community became popular with the release of CM-11 for Android 3.0 Honeycomb in 2011. Then Steve Kondik was appointed by Samsung as a Chief Software Engineer . But he keeps on his work with CyanogenMod and left Samsung in 2013 to give his full attention to his CyanogenMod community. On Which Phones, CyanogenMod can be Installed ? 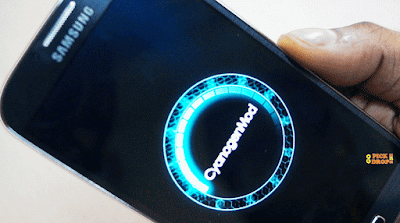 Gadgets Circle: How Much Do you Know About CyanogenMod ?